Don Johnson, a U.S. Army veteran from Fort Dodge who served during World War II, left, is presented with a Quilt of Valor Wednesday afternoon at Friendship Haven. Kathleen Guymon, right, made and presented the quilt. 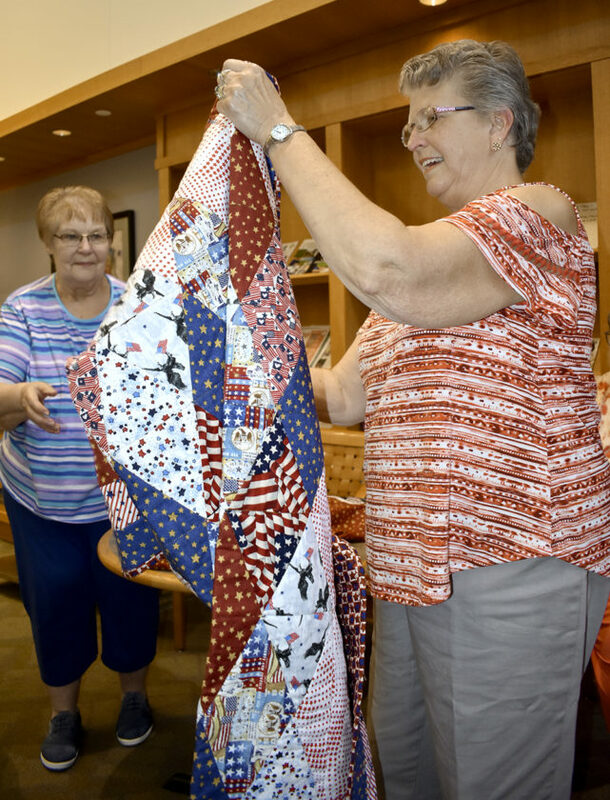 Kathleen Guymon, right, holds up the Quilt of Valor she made for Don Johnson, a World War II veteran from Fort Dodge. Nancy Beck, Johnson’s niece, looks on. Don Johnson, a U.S. Army veteran from Fort Dodge, was part of one of the last units to fight the Japanese during World War II. On Wednesday afternoon, Johnson, 95, was honored for his service when he was presented with a Quilt of Valor. 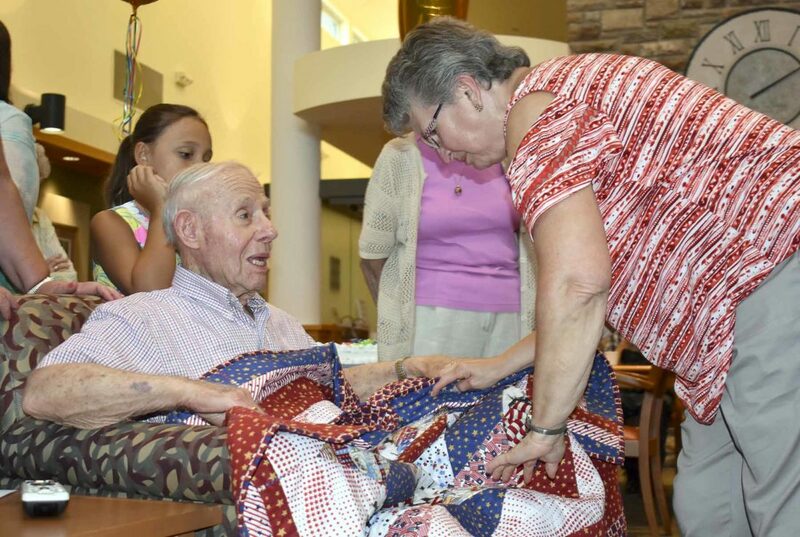 Kathleen Guymon, of Clare, made and presented the patriotic-themed quilt to Johnson. She has made eight quilts for veterans. About 30 friends and family members gathered in the Fireside Room at Friendship Haven for the honor. The mission of the Quilts of Valor Foundation is to cover service members and veterans with comforting, healing Quilts of Valor. Johnson was nominated by nieces Nancy Beck, Judy Lennon and Susan Willroth. He graduated from high school in Fort Dodge in 1942 and joined the military voluntarily in December that year. Johnson and a friend, Bill Lamb, who later became chief of police in Fort Dodge, joined the service at the same time. “We tried for Marines, but they were all filled up,” Johnson recalled. So instead, the two joined the Army. Lamb ended up a quartermaster in Europe, while Johnson became a radio operator throughout the Pacific Ocean. During the war, Johnson displayed his courage. By the time he was done, Johnson said he “made a complete circle,” throughout the Pacific. He was in the Philippines with Gen. Douglas MacArthur when he was photographed smoking his corncob pipe in August of 1945. Johnson reflected on the time spent overseas. After the war, Johnson was sent to Korea. Johnson left Korea in December of 1945. It took him three weeks to arrive back in the states. 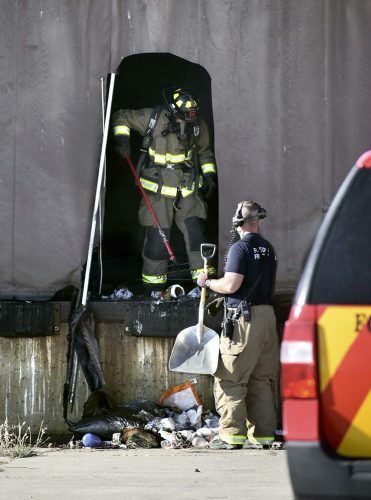 “It took three days to arrange a train,” Johnson said. He was discharged from Fort Leonard Wood on Dec. 23. At 6 a.m. the next morning, Johnson’s sister took him to Omaha, Nebraska. He came back to Fort Dodge with another friend. “When we got back we were greeted with 15 inches of snow,” he said. But he was home in time for Christmas. Johnson said he lived on Avenue E.
“I volunteered, I served, but I came back,” Johnson said. Johnson celebrated his 95th birthday on June 23. Doug MacCarthy, Johnson’s son-in-law, said he has a lot of admiration for Johnson, not only as a veteran, but as a person. 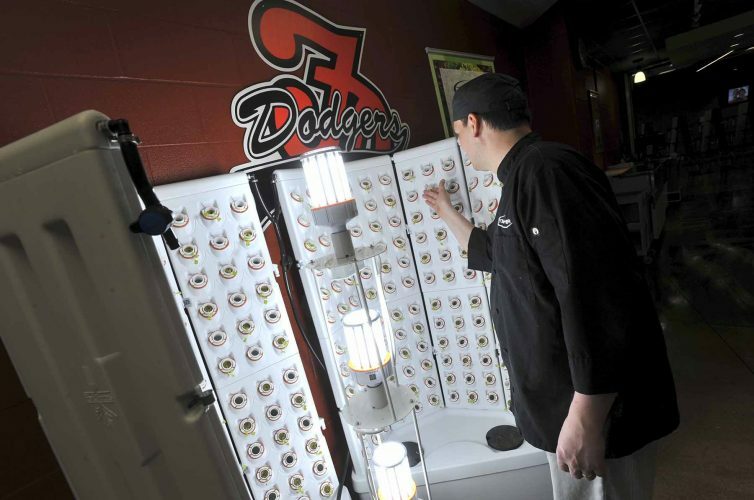 Johnson and his wife, Marion Johnson, owned Kaderabek Electric in Fort Dodge for many years. MacCarthy said Johnson took all the calls on holidays and never asked employees to come in. Family has always been important to Johnson, according to MacCarthy. Johnson’s niece, Nancy Beck, is just happy they can honor Johnson now.